VINELAND, N.J. - William Hemphill's daughter, Barbara Judith, has lived at the Vineland Developmental Center for 38 of her 50 years. She can't walk or communicate in any way. Hee father knows the best place for her is at the center, where she is surrounded by caring employees who know her better than anyone. "The staff is the most wonderful people in the world," the Paulsboro resident said. "I don't want her anywhere but Vineland." 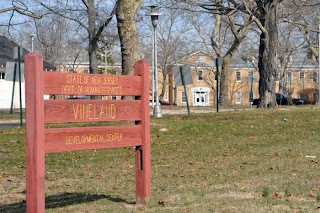 Public outcry regarding the closing of the Vineland Developmental Center has focused on the economic impact on Cumberland County and the potential savings to the state budget: the move could mean the possible loss of 1,400 jobs and eventual savings of as much as $30 million a year for the state. Republican Gov. Chris Christie called for the facility to be closed when he proposed his 2012 budget in February. But closing the center would also mean the displacement of nearly 350 female residents such as William Hemphill's daughter. It also follows a growing national trend to close these facilities and encourage people with developmental disabilities to live within their communities. As the Legislature debates including the center's closing in the 2012 state budget - which must be passed by June 30 - state health officials are discussing a new way to treat people who are living in seven developmental centers in the state. "Fundamentally, I think it's a philosophical difference between whether people even with the most complex medical needs and behavioral needs can be served in a community or not," said state Department of Human Services Commissioner Jennifer Velez in a Senate Budget Committee hearing May 2. "I believe that they can with the right resources around them through provider agencies - and others do not (believe they would be better off living away from a center)." Federal law, as a result of the United States Supreme Court 1998 Olmstead decision, states people cannot be forced into institutional care if they don't need it. Velez said the shift to closing the center is being done to adhere to that decision. But she also agrees with the philosophy that residents can reach their full potential if they live in a community setting, rather than a developmental center separated from the rest of the population. "It's an opportunity to go to a park or see a movie," she said. "They can be with everybody." The state last closed a developmental center in North Princeton 13 years ago. Currently the department is focusing only on Vineland, but Velez said it could lead to the closing of more centers in the future. One reason Vineland was selected is it has 165 women - almost half of its population - who could move into the community, she said. The amount is the highest percentage of residents "ready to move" of all the state's centers, she said. There must be an agreement among the resident, family and center staff before a resident is allowed to depart, she said. The remaining six centers do have enough capacity at their facilities to take in residents who do not want to leave the program, she said. "There are states with no developmental centers. I don't believe we will be like that," she said. "But we cannot continue to maintain seven development centers." Dr. Deborah Davies, chief operating officer for the Arc of Atlantic County in Egg Harbor Township, said she has seen many success stories of people leaving the centers. Organizations such as Arc and Easter Seals help these residents adjust during their transition. "We think people should be in the least restrictive environment they can successfully live in," she said. Barbara Coppens, 53, left the VDC in 1979 after living there for 16 years. She now works as the president of the New Jersey Statewide Self Advocacy Statewide Network and helps people transition from the centers into community housing. "They want to know what's out there," the Cherry Hill resident said. "When I lived in Vineland, I learned a lot of living skills. I took it step by step and now I'm on my own." During an April town hall meeting in Cape May County, Christie said he is in favor of closing the developmental center partly for humanitarian reasons. The governor said the best medical opinions say the people are better off in group homes than institutions. The governor's press office referred questions to the DHS. Velez noted Christie has been very supportive of the decision. "I was thrilled about that," she said. "It's a controversial thing - we do need full support of the administration." A group of about 10 VDC employees who assembled at the Shiloh Baptist Church in Vineland recently to discuss the situation strongly disagreed with many assertions made by Velez - mainly that such a large number of residents are ready to transition away from the program and that a group home environment would unleash their full potential for a high quality of life. Social worker Daniel Coughlin said he is not against able people leaving the centers, but the process has lacked compassion for the residents. "It's like saying we're all going to live in space one day, so let's go now," the Turnersville resident said. "Yes, there are those that could live out there eventually, but the way it's being done in one fell swoop is criminal." The state's plan is to consolidate the center's 69-acre West Campus on Almond Road - it houses about 42 women - with the 257-acre East campus on Landis Avenue and Main Road by the end of June. The entire facility would close by June 30, 2013. The state will spend the next two years preparing to move the residents, Velez said. "Once the budget passes, it will be all systems go," she said. Three hundred sixty-five residents have moved from the state's seven developmental centers to community homes since 2007, according to the DHS. Twenty-four women have moved from the VDC, the only all-female center, to community homes, and three women have moved into nursing homes since November, the department said. Forty-three women have moved from the VDC to other developmental centers in that time, the department said. The employees say that is a very high number for the six-month period; they allege the state is moving people out to better facilitate the closing. At the budget hearing, Sen. Jeff Van Drew, D-Cape May, Cumberland, Atlantic, said he had heard some of the residents had been moved improperly. He stated one resident was told she was being taken to get her nails done, but was then transferred to another center without advance notice. Velez responded that the department would investigate any impropriety. Van Drew asked Velez for a moratorium on transferring residents until the budget issue is finalized. "People have lived decades at this developmental center. For some, (the move has) been quite traumatic," he said. "Wholesale changes like this, I really believe ... there will be a loss of lives." Velez denied the request, stating she could not stop a resident from making a move the resident is legally entitled to. The employees said they are concerned the new community homes do not have the same amount of supervised care or security as the centers, VDC clinical psychologist Valessa Rocke Goehringer said. The homes are not equipped for the residents' needs, the employees say. At the VDC, the residents have full access to psychologists, occupational and physical therapists, behaviorists, nutritionists, doctors and nurses. There is also a dedicated staff that sees the residents on a continual basis, they said. "We know what they need. We know when they feel bad. We know when they're hurt," said Vineland resident Paulette Pierce, a human services assistant at the VDC. "We're like family to them." Willie-Mae Powell-Roberts, a senior therapy program assistant, said success depends on sustaining a long-term relationship with their clients. "When they first get there they don't know how to sit in a chair," the Bridgeton resident said. "We take them under our wings." Powell-Roberts scoffed at the notion that the centers are a type of dungeon that holds the women back. In fact, the center allows the people to live with peers who offer more socialization than a private home that may not have any other residents with developmental disabilities, she said. Some employees act as sponsors to residents who do not have families and take them into their own homes for holidays, she said. The employees will put on shows and special events such as costume parties on Halloween or parade around the center dressed as Disney characters, she said. They will also invite people to perform at the facility and take the residents on outings to restaurants or the mall, she said. "They are not socially isolated here," she said. Despite a potential to eventually save tens of millions of dollars, the closing is projected to cost the state money the first two years. The state will allocate bridge funding to health groups and social programs to provide for the residents who will leave the center, Velez said. "We have to spend money to make that capacity available," she said. On May 10, the state announced plans to build 600 units for people with developmental disabilities by 2013. 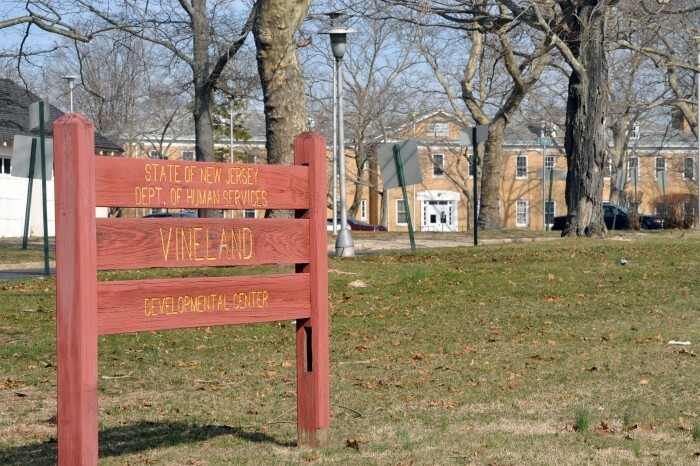 Vineland would not be given special consideration if the VDC closes. The state will spend about $6.5 million in the 2012 budget and about $13.5 million in 2013 mostly to cover expenses to place residents in the community, said DHS spokeswoman Nicole Brossoie. The consolidation of the west campus would save about $2.2 million under the 2012 budget, she said. "This is not a fiscal decision," Velez said at the hearing. But by the 2014 fiscal year the state expects it will save about $30 million per year, Brossoie said. The figure does not include a savings of $20 million by not having to move ahead with recommended construction costs, nor does it include potential income by selling or leasing the land. The state does not yet have plans for the site. The current budget for the Vineland Development Center is $119 million; 90 percent is to pay employees, Brossoie said. About 1,400 employees work at the VDC - one of the top employers in Cumberland County. Velez estimates about 500 people would become unemployed with the center's closing. The state will begin downsizing the local center when the closing is finalized; employees will be transferred to other sites when openings occur through retirements and attrition, she said. Velez also said new health organizations would move into the Vineland area to house the newly adjusted residents - thus creating more jobs, she said. But the prospect of finding a new job is not something Millville resident Cordelia Hill has a lot of faith in. "What job?" said the cottage training supervisor and employee at the center for 21 years. "If they shut us down they might as well shut down Vineland." Mayor Robert Romano said the loss of 1,400 people visiting, shopping and eating in the city would be a big blow. "When anyone has a job fair around here there are hundreds of people in line," he said. "It's not about people not wanting to work. They want to work, they just can't find anything. This will add to Cumberland County's depression." Van Drew points out that even if the employees are transferred this is still a loss of 1,400 local positions. He asked for the state to perform an economic impact study before it moves forward with the closing. "The county already has the (state's) highest unemployment rate," he said, adding closing the center would increase the unemployment rate in Cumberland County to about 16 percent. "From that aspect they chose the wrong place at the wrong time." Velez said the study has not been done, but it would not be a part of the department's decision. "I absolutely believe someone's civil rights cannot be (infringed on) in any way because of a region's economic condition," she said. But local officials and residents in the county will continue to hold rallies and educate people on the issue in order to compel the Legislature not to approve the closure. Van Drew is also co-sponsoring a bill that would allow the Legislature to review and potentially block the closure of any state psychiatric hospital or developmental center. Freeholder James Dunkins encouraged the group of employees who assembled at the church he serves as pastor. He told them how important their message is for the good of the county and said he prays the state will reconsider. "This would be the biggest tragedy I have ever seen happen in Cumberland County," he said. "If they do this with what we're dealing with now, it takes away a lot of hope."